Fifi Flowers' SHOP is having a 25% OFF SALE on top of the ALREADY LOW PRICES... I will CONTINUE this SALE ONE MORE DAY... don't miss out!!! 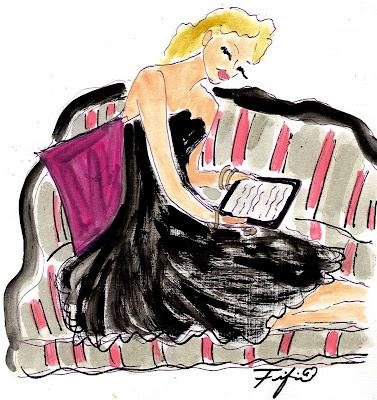 ooooh and be sure to visit my other site... Reading is Fashionable this week!!! You might not have prepared a posting Fifi but, it looks pretty good to me !! What a fabulous painting. I too spent part of the weekend reading! It has turned cool and crisp here which I love!